Add vinegar and honey to water. Cap tightly and shake vigorously. Serve immediately. I got this recipe from Tony Palombo, the chiropractor. My bff’s mom, Martha Leger, also said they (Prairie Cajuns) used to drink it as a refreshment when they came in from farming. Use as a coffee, tea, soda and flavored water replacement to reduce acid and inflammation in the body. 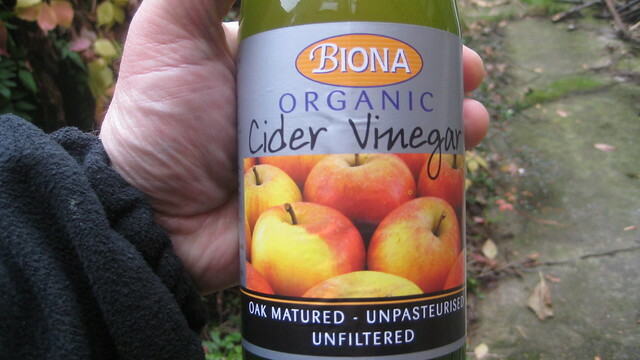 Vinegar balances pH and helps release negative energies (ex., anger, frustration, unshed tears, etc. ), especially when used as a bath during a full or waning moon. Helpful in weight loss and boosting the immune system for cold/flu season. Categories: Ayurveda, Cold Flu Season, Healthy Recipes, Weight Loss | Tags: apple cider vinegar recipes, Ayurveda, cold flu remedies, Healthy Recipes, home remedies, natural health remedies, Weight Loss, Wicca recipes | Permalink. Belinda Y. Hughes is a lifestyle coach and freelance writer. She is a certified yoga teacher and retired licensed massage therapist. Her vegetarian cookbook, Confessions of a Red Hot Veggie Lover 2, has made the Amazon Top 100 a few times.